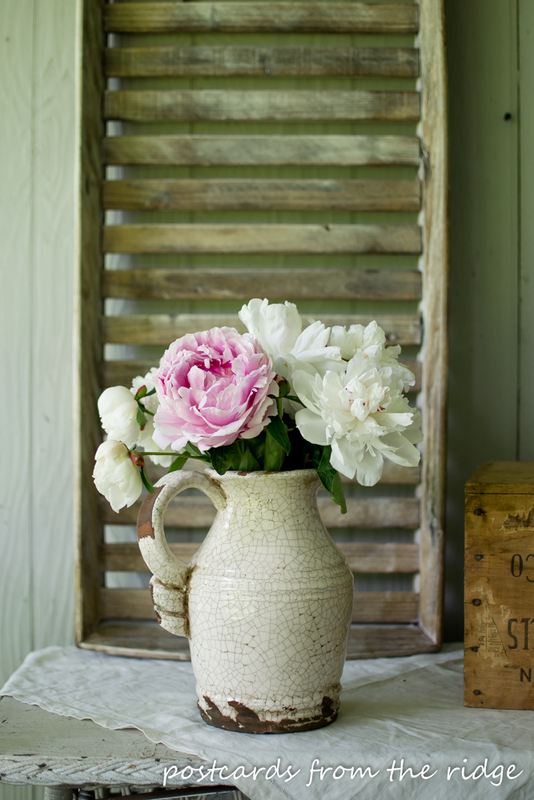 Simple tips for adding spring touches to your home. Spring is such a glorious time. It's a new beginning, an awakening of sleepy flowers and trees, and the end of what's usually a long, cold few months. 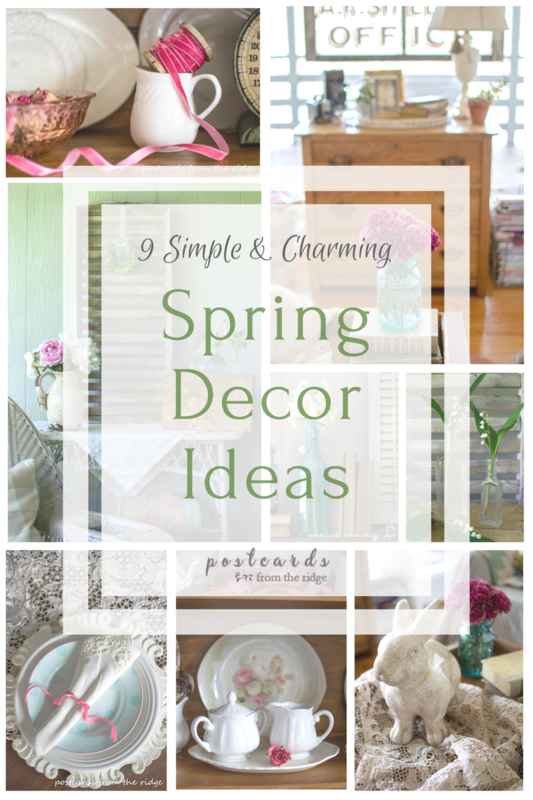 If you're ready to embrace the season and add some spring touches to your home, then here are some very simple ways to do it. 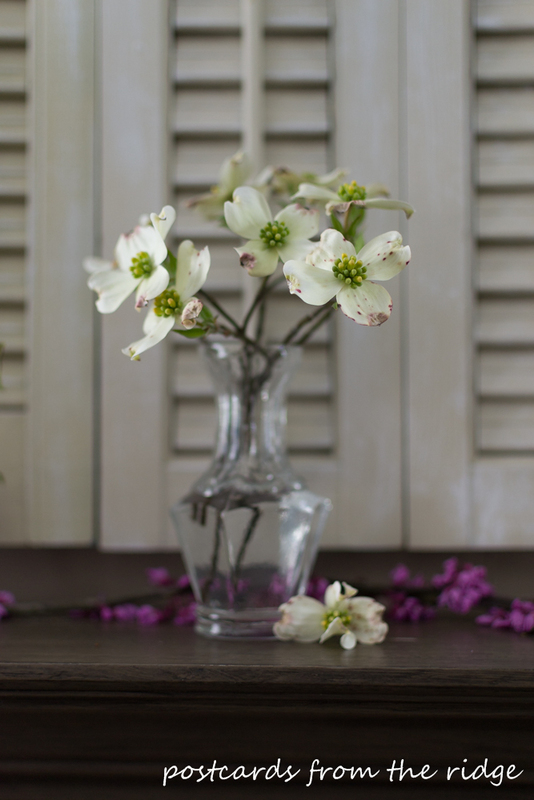 Our home has flowers or cut branches in it pretty much all year round, but spring flowers are my favorite. After the cold, dreary winter months it's so refreshing to have sunshine, warmer weather, and pretty spring flowers. 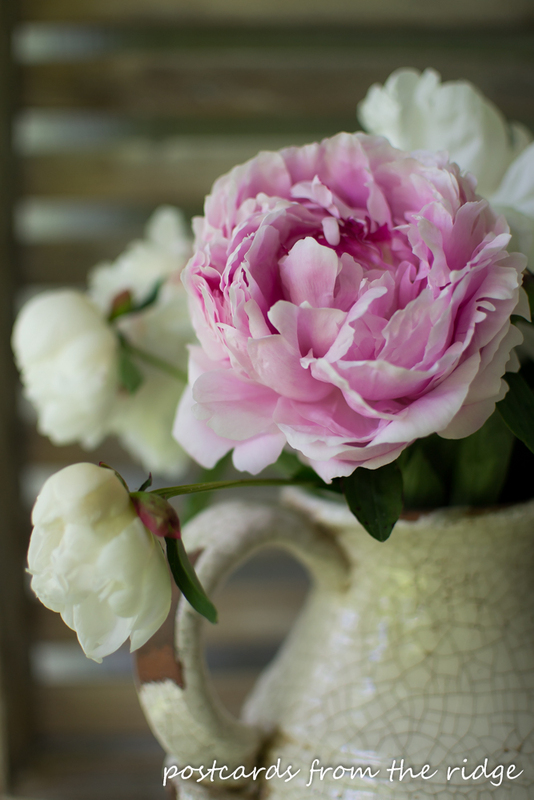 We're fortunate to have lots of blooming flowers in our yard like these peonies, but you can just as easily add store bought flowers to a pretty container for instant charm. Sometimes I buy carnations came from the grocery store and they usually last about 2 weeks. Talk about a big bang for your buck! 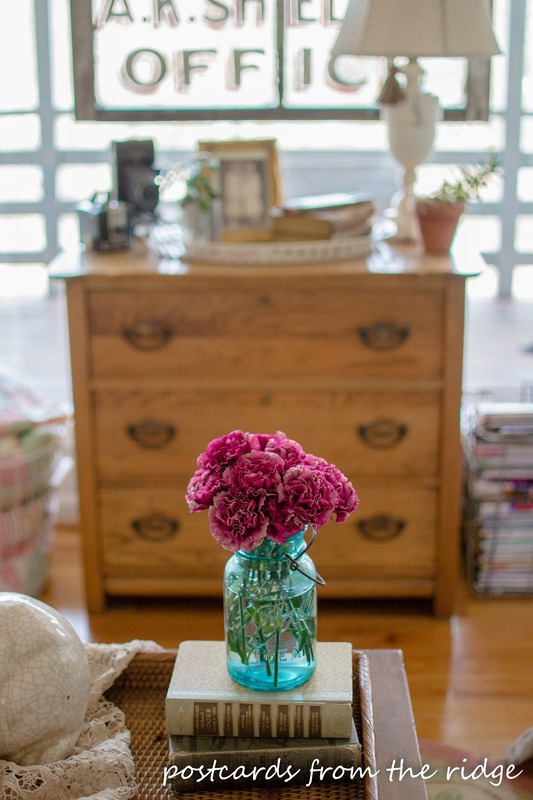 I popped these in a vintage blue mason jar for even more color. Daffodils are usually easy to find and if you don't have any in your yard ask a friendly neighbor to share a few with you. A glass bottle or vase is a great way to display them. 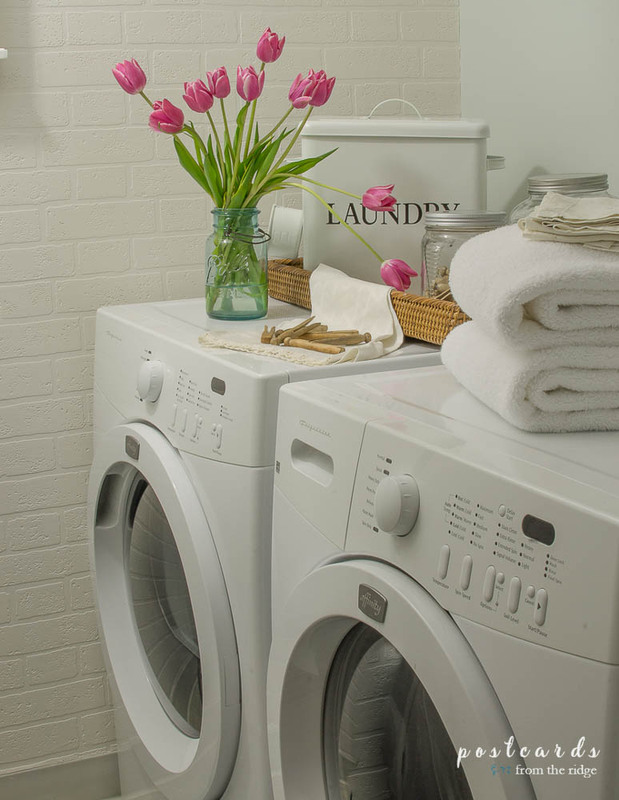 Flowers in the laundry room? Why not? 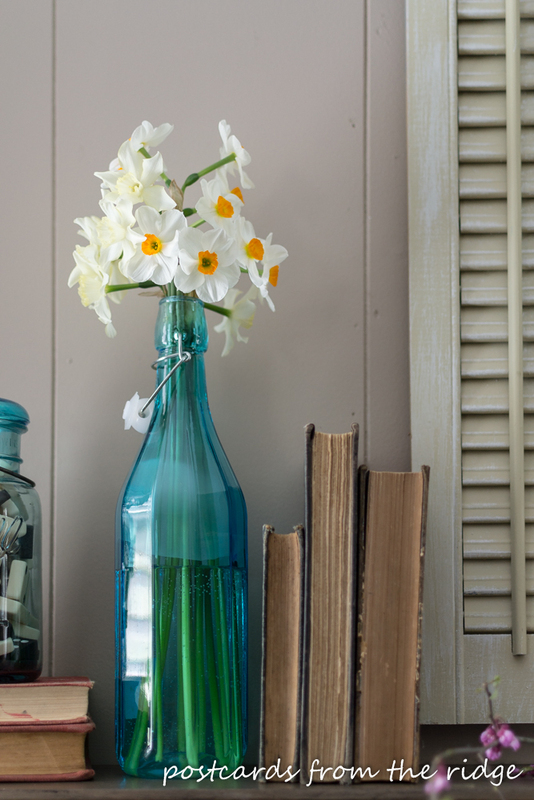 I recently gave our tiny laundry room a makeover and added some store bought tulips to a vintage blue mason jar for some color. Honestly, I don't always have flowers in here, but maybe I should since they look so pretty. 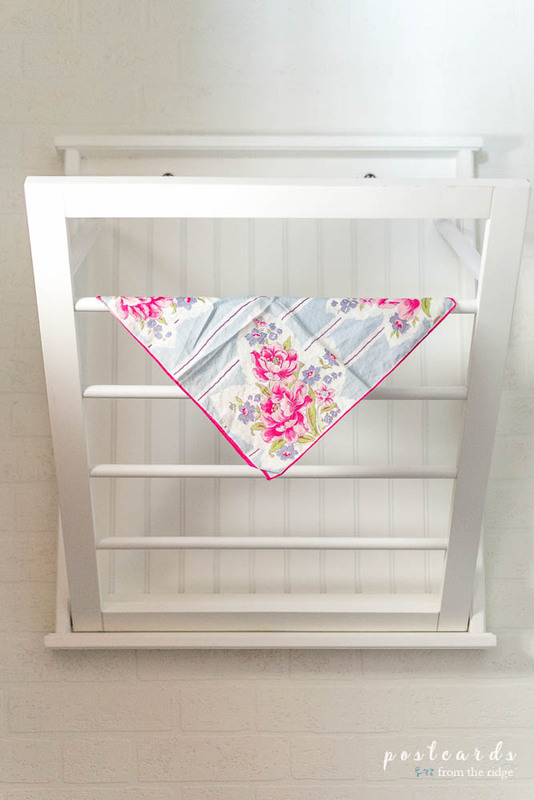 It might even make it more fun to do laundry. 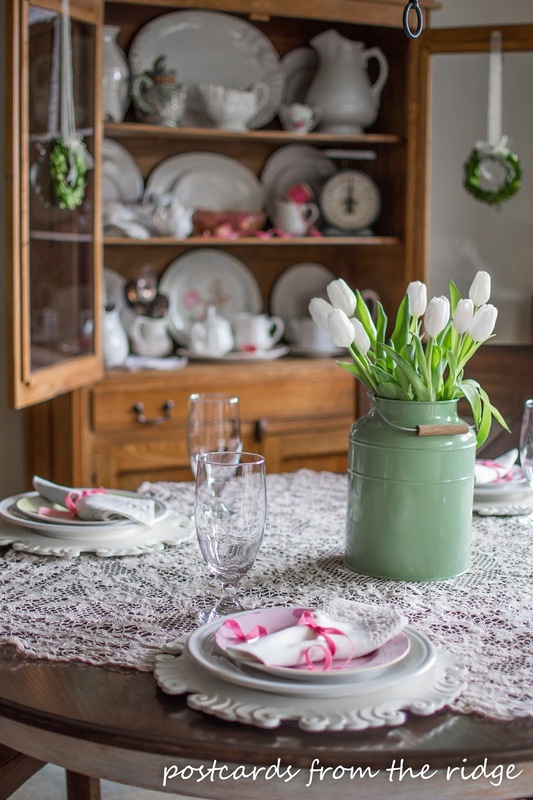 Setting the table for spring can be as simple as adding some fresh flowers or as detailed as changing your dishes, napkins, and glasses. 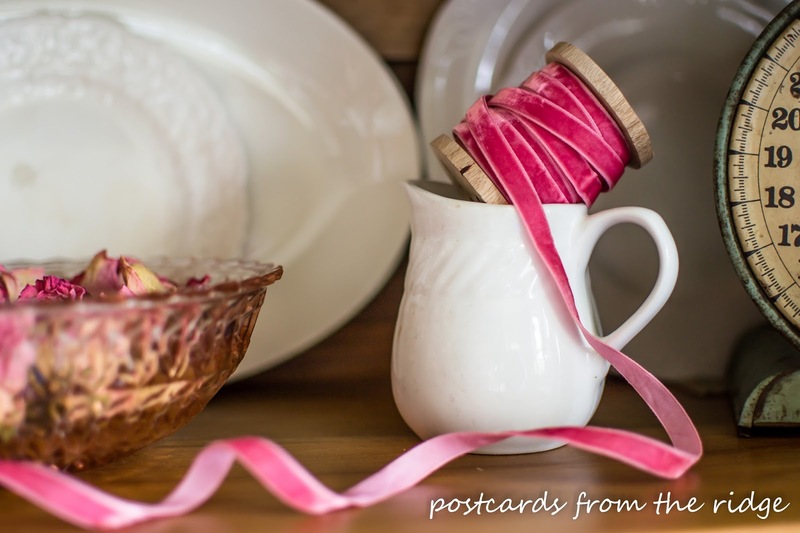 Even the addition of fresh spring colored salad plates makes a big impact. 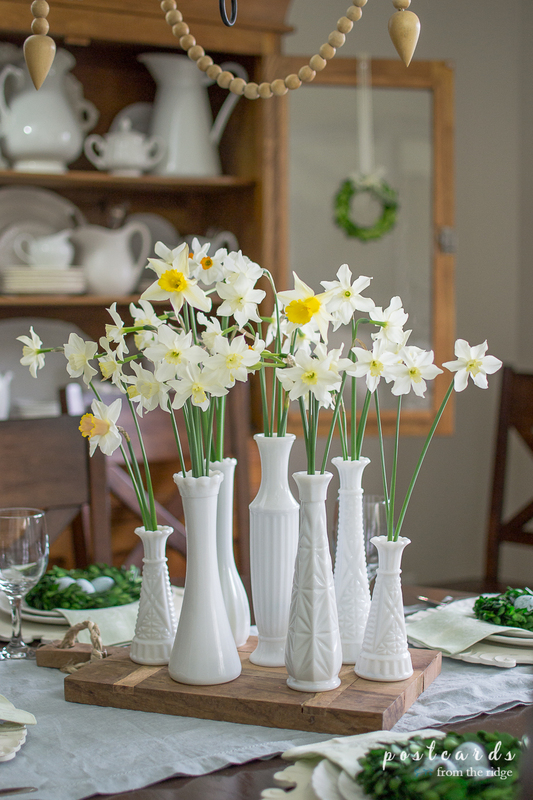 Add a few daffodils to some vintage milk glass vases and set them on top of a wood cutting board for a super easy centerpiece. We're very fortunate to have lots of blooming branches in our yard and I bring them in often to enjoy their colorful blooms. 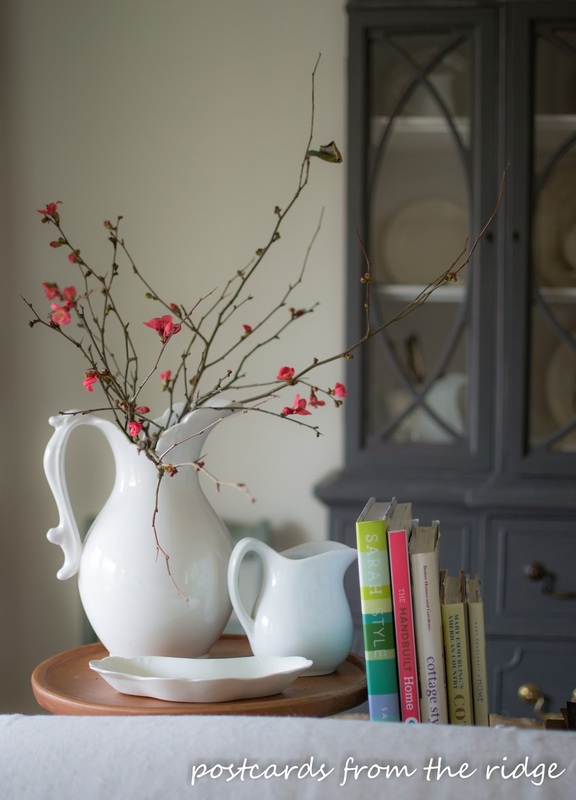 The quince branches above have the prettiest coral color blooms. 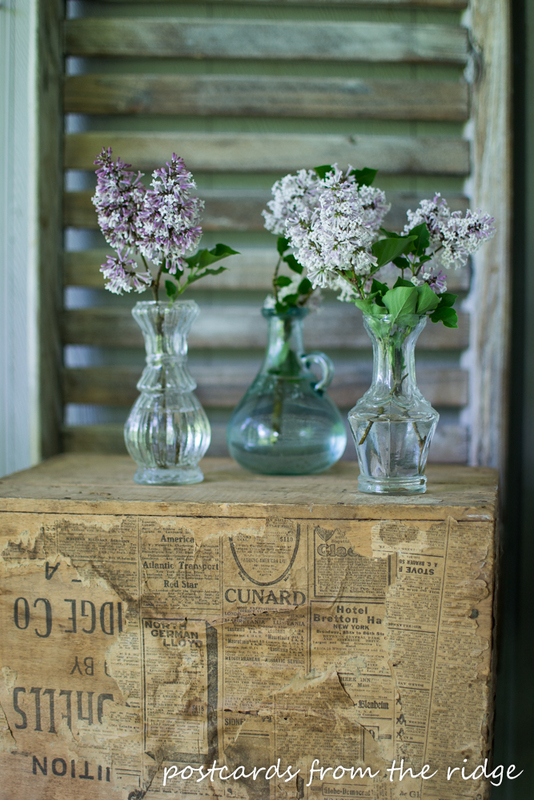 And the lilacs smell so good! The dogwoods have a pretty shape and look great on a mantel or anywhere else you like to show them. 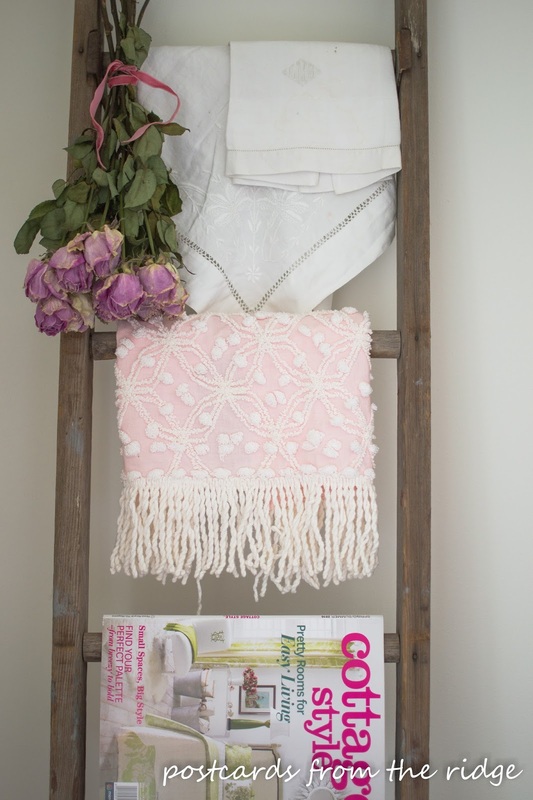 Our pillows change with the seasons and spring is no exception. 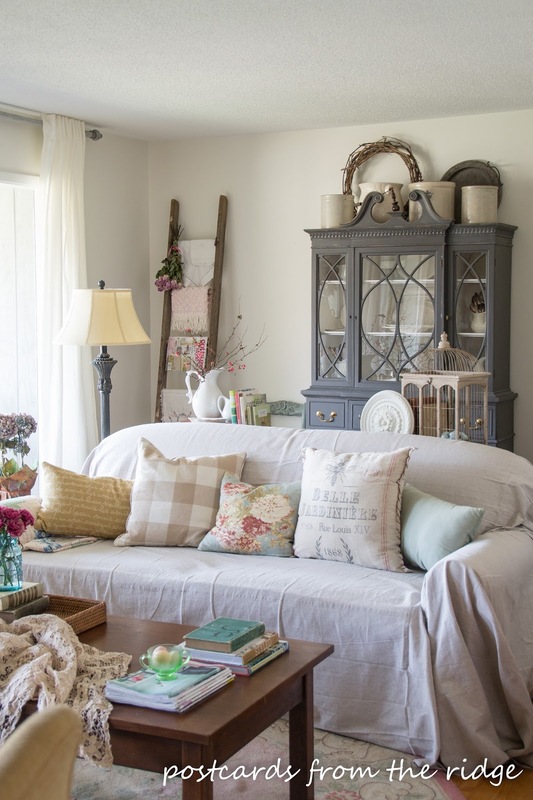 It's a quick and easy way to change the look of our sofa. Adding a white quilt and making some simple changes to the decor in the bedroom can give it a completely different feeling. 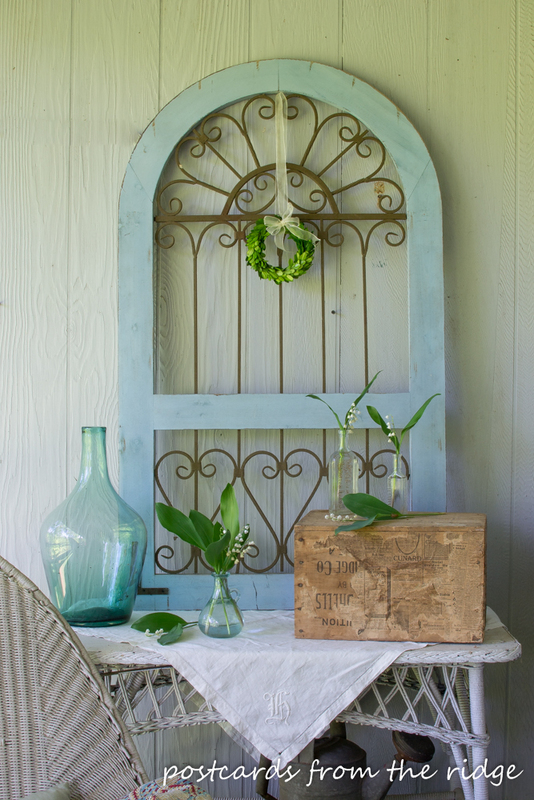 Add a fresh greeting to your front porch or deck with flowers, wreaths, and spring colors. 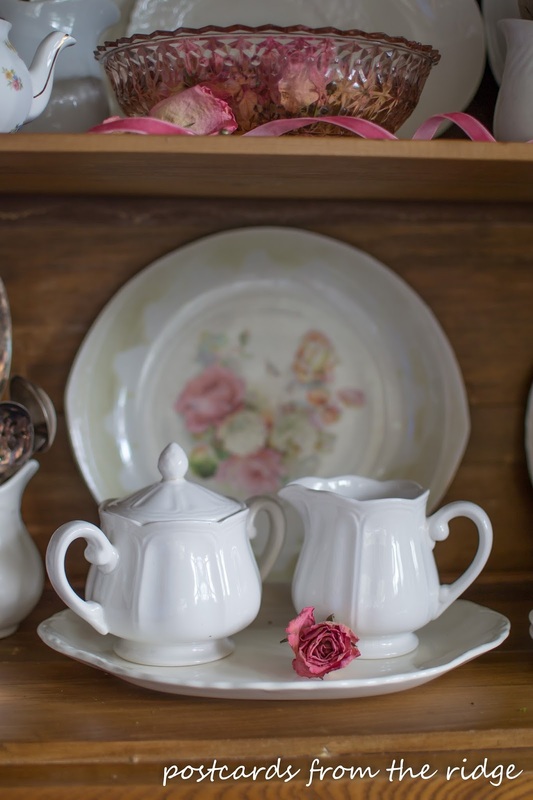 It's a sweet way to be welcomed to your home. Spring is the only time of year I use pink in our decor but I always love the way it makes the house feel. 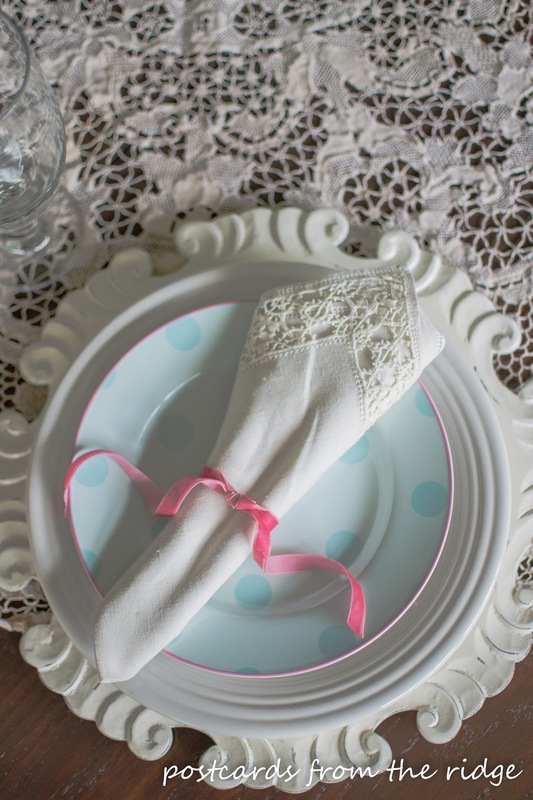 If you're not a fan of pink, try yellow, peach, mint green, light blue, or lavender. 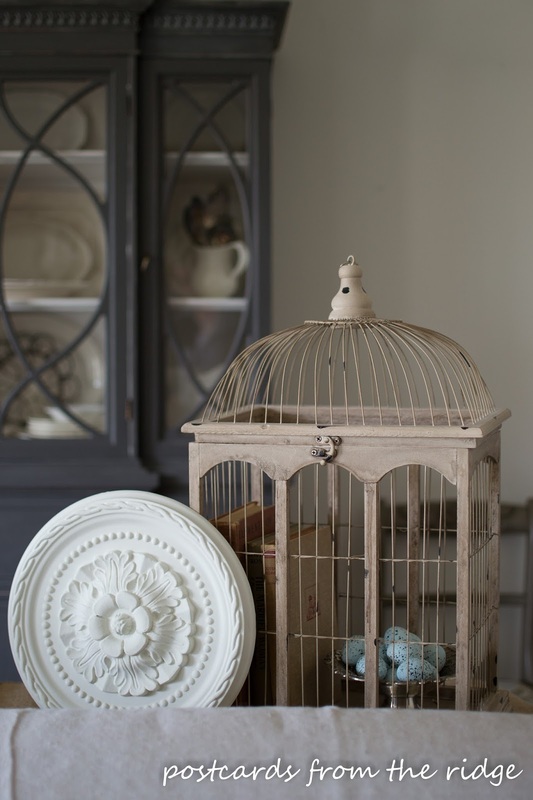 Bird eggs are another fun way to make it feel more like spring in your home. I added these ceramic ones last year and love the color of them. They look so real! 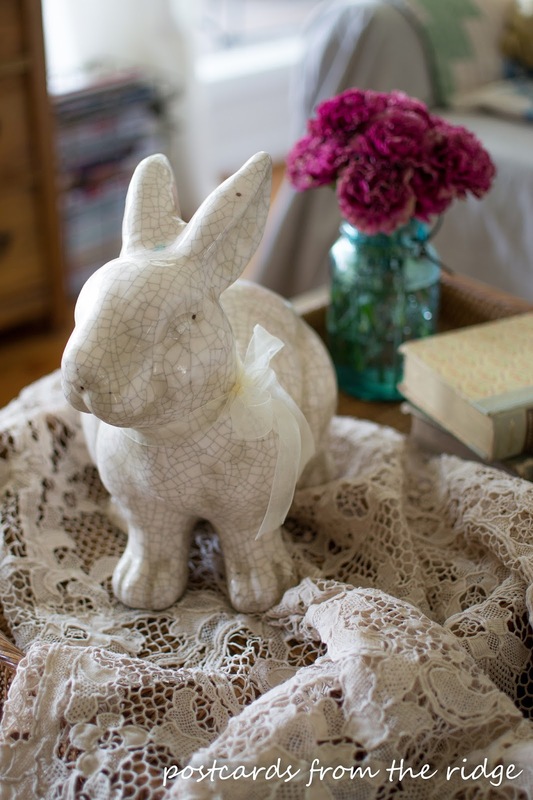 Bunnies are such a sweet symbol for spring and Easter and can be found most anywhere that home decor is sold. I found this one at HomeGoods several years ago and get him out each spring. Using printables as artwork is a quick and inexpensive way to update your decor. What are some of your favorite ways of adding spring decor to your home? Leave a comment below and let me know! Thanks for dropping by! Enjoy your spring! Such beautiful photos! I love your cozy home. Looks like pages in a magazine. 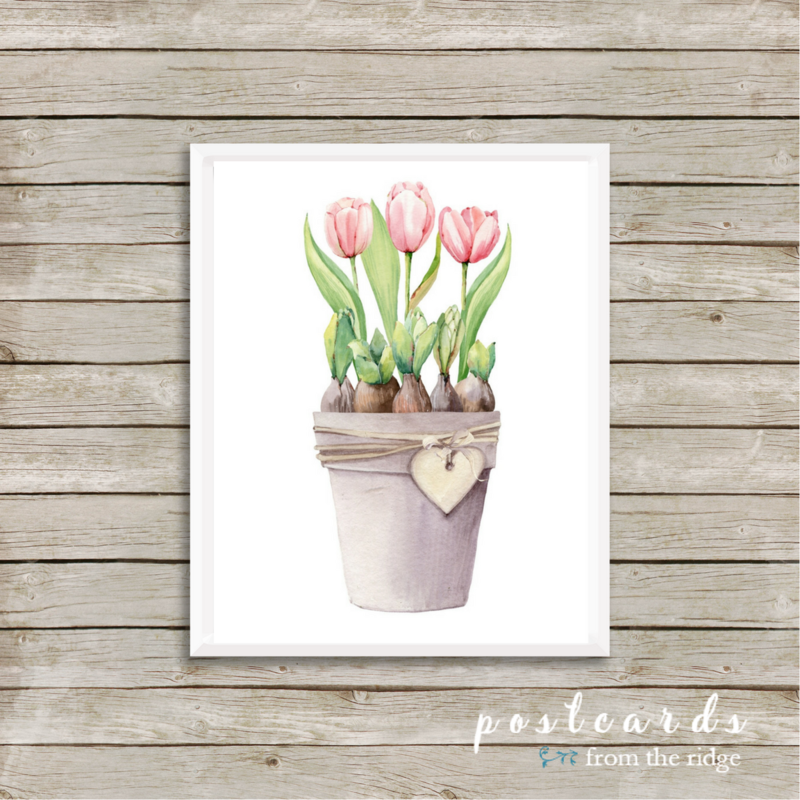 I wondered, how do you create printables? I just love yours! I have subscribed to your blog for over a year, so do I need to subscribe again for the printables? I am a little confused.